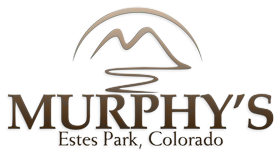 Murphy’s River Lodge in Estes Park, Colorado is nestled along the beautiful clear flowing water of the Fall River. We are located only 2 blocks from historic downtown Estes Park and was wonderfully remodeled in 2011. We offer a variety of king and queen rooms and plenty of information about all the events and activities in the area near the hotel. 20 of our rooms have decks that are just a few feet away from the beautiful rushing waters of the Fall River. Free shuttle pick-up right across the street from June 25th - September 11th provided by the town of Estes Park. Contact the visitor center at 970-577-9900, stop in our office for a schedule and map for availibity or just click here for more information. No vicious breeds or any animals with violent pasts.